Nauru is considering mining residual phosphate deposits for exports. 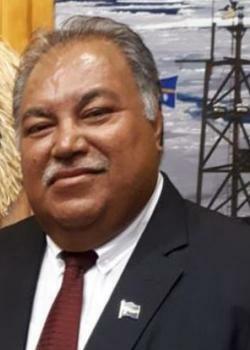 President Baron Waqa made the announcement in his 50th anniversary address in the capital, Yaren Wednesday. He said residual deposits in some areas are large enough to warrant feasibility studies and surveys to determine viability of the industry. “Drillings are being undertaken to ascertain these deeper deposits and secondary mining hopefully will commence in 2018-2019 period, once all plans are in place. “Residual from the rehabilitation works includes huge stockpiles of limestone rock boulders of various sizes and shapes. These boulders are available for construction projects such as coastal protection works and for crushing into aggregates, said President Waqa. “Nauru is able to meet its own demands for these materials and because there is abundant supply, they are also available for exports to neighbouring countries as well, said President Waqa. Another planned project for government is land rehabilitation of the mined areas – expected to begin in earnest in 2018/2019. “Land will be developed for a range of purposes including housing, agriculture, sports, education and for the swing of trees to green the rehabilitated areas and provide new habitats for wildlife, revealed the Nauru President.